THE FINER POINTS: The three-day Watches & Wonders event had something for all 16,000 visitors. Its official - Swiss luxury watches are no longer just boys' toys. For too long, men were spoilt for choice when it came to picking out a timepiece for themselves. Gold or steel, chronograph or minute repeater, tourbillon or double tourbillon, big or small - there are options aplenty. 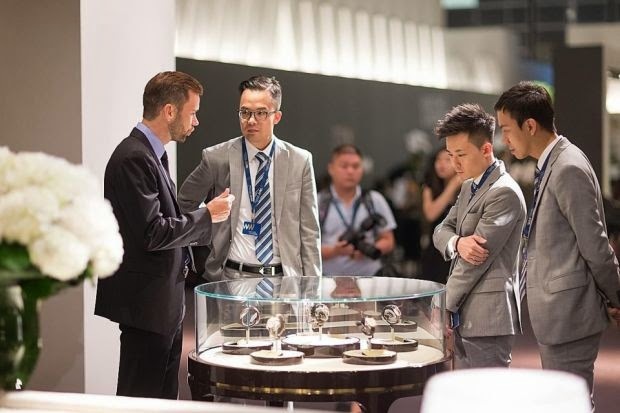 But judging by the sheer number of women's timepieces on display at the second edition of Watches & Wonders in Hong Kong earlier this month, the Swiss are getting serious about opening up to a demographic that might have been in their blind spot for a little too long. Not anymore as women are fast catching up with their male counterparts in collecting watches and the brands are sitting up to take note of it. "Thirty-five per cent of our customers are women," reveals Jerome Lambert, CEO of Montblanc, as the maison unveiled its new feminine Boheme collection - an all-mechanical line that even features a complicated perpetual calendar model for serious female collectors.